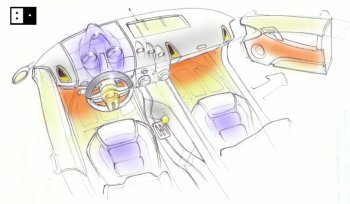 An exciting new automotive project which will seek reinterpret the legendary 1960s Bizzarrini Strada GT5300 has seen its design programme carried out by the recently formed African Automotive Design Association (AADA) while it is set be realised in Italy in conjunction with an engineering group, headed by Leone Martellucci. The unique design brief for the project - which is entitled "New Strada" - was handed by Martellucci's firm to Jonathan Kasumba the founder of the AADA, and its strong ambitions are nothing short of a comeback for the Bizzarrini Strada, one of automotive history's most famous sportscars. Automotive design is a unique and highly specialised field, yet there has previously been no central body to represent the cause in Africa. As a result, the African Automotive Design Association was created in 2005 by founder Jonathan Kasumba and his co-founder Dr Eva. 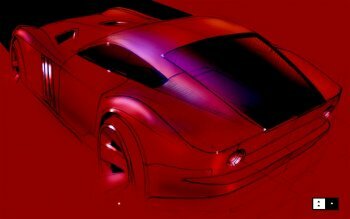 The aims of the association are to bring together Automotive design enthusiasts, artists of all ages, professional designers and design students, of all nationalities, to promote design education, African culture, African heritage, and to encourage automotive design practice. The AADA now has members in Algeria, Egypt, Eritrea, Ghana, Kenya, Madagascar, Morocco, Nigeria, South Africa, Sudan, Tanzania, Tunisia, Uganda and Zambia. "I drew inspiration from the 1969 version of the 5300 GT Bizzarrini Strada, and also immersed myself in the world of contemporary African masks," says the project's designer Jonathon Kasumba. "The long hood, low roof and shallow windows, give the observer the sense of an athlete waiting to spring into action. In African masks a lot of detail is place on the eyes, nose, mouth and facial surface texture; this is done to carefully portray the characters true nature. Tubular Fog lamps, trapezoid air vents, geometric shut lines, flush surfaces and conical surface caps all help in expressing my interpretation of the legendary super car," adds Kasumba. The New Strada is set be built in Italy by the Italian engineering group headed by the principle engineer of the project Leone Martellucci.